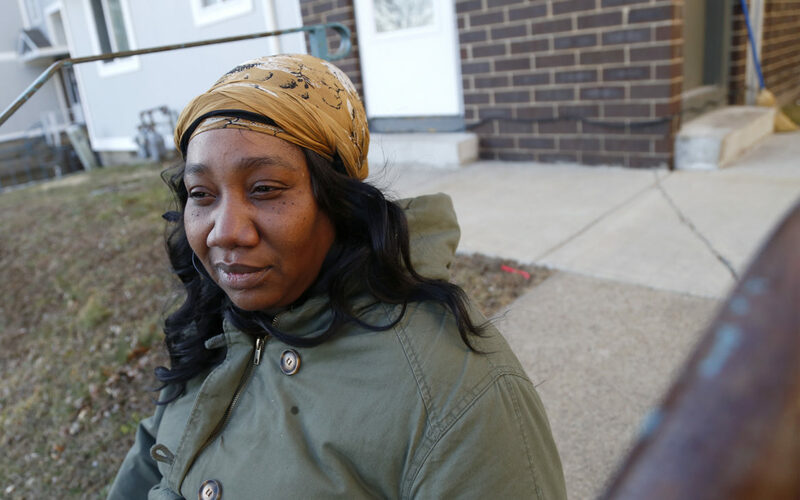 Danielle Williamson is exasperated at how little she’s been told about when, or even if, she’ll need to uproot from her Glen Hazel Heights townhouse as part of a $12 million renovation to the former public housing complex. Since November, New York-based Arco Management has managed the property, taking over for the Housing Authority of the City of Pittsburgh [HACP] in a bid to remodel the townhouses and nearby high-rise. According to some residents, the change has been chaotic. “If you ask five questions on the same subject, you get five different answers. It's frightening, it really is,” said Kenneth Robinson, 66, a school bus driver who has lived in the same unit for 14 years. Residents like Williamson and Robinson don’t know where in the Glen Hazel apartments they’ll end up, how long they might be pushed out by construction crews and how they’ll be impacted as private property managers take over for city housing authority workers. Some residents have recently been told — erroneously — that they owe big sums in unpaid rent. The upheaval felt by some residents is tied to HACP’s attempt to improve the properties in the neighborhood bordered by Hazelwood and the Monongahela River. Using a federal program called Rental Assistance Demonstration, also known as a RAD conversion, the authority shifted ownership to a private entity created and staffed by the HACP. The move enables the new owner — Glen Hazel RAD LLC — to access private funding like a private loan or government tax credits tied to low-income housing. HACP officials acknowledge that the contractor they hired, Arco, needs to make changes to its policies. HACP officials met with residents March 21 to hear their concerns about the renovations and property’s new ownership. The authority is also dispatching staff regularly to the property to help residents understand the process. Caster Binion, HACP’s executive director, said he’s confident that residents, HACP and its contractors will have a strong working relationship in a month’s time. 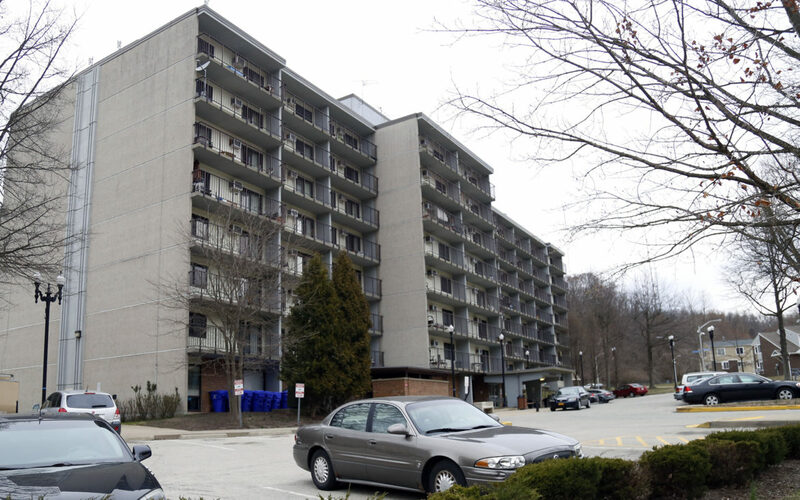 The Housing Authority of the City of Pittsburgh has a hotline set up to take calls from residents of Glen Hazel Heights and the Bernice Crawley high-rise: 412-456-5111. Planned renovations vary based on the condition of the 127 units at Glen Hazel Heights, which is home to 259 residents, and the 97 units at the nearby Bernice Crawley high-rise, which houses 86 seniors and residents with disabilities. HACP Communications Director Chuck Rohrer said updates could include new flooring, light fixtures, kitchen cabinets and countertops, doors, windows and new roofing in some cases. Bernice Crawley residents won’t be moved during the work unless they require special accommodations. Georgia-based Property Relocation & Development Services [PRDS] has been subcontracted to handle relocation services. Cliff Asher, executive vice president of the Arco affiliate MMS Group, said his property management team and PRDS have been working closely with the HACP and Glen Hazel residents to make renovations run as smoothly as possible. Asher confirmed Arco’s protocol had been for PRDS staff to visit residents in person several weeks ahead of a move to communicate their relocation schedule and any additional help they may need. Then, a day or so before their move date, residents of Glen Hazel Heights were to receive a written notice of move dates. PRDS referred a request for comment to Arco. When initially asked about that practice, Asher told PublicSource he would revise the protocol to include a 30-day advance written notice and on Friday he confirmed that he had advised his team at Glen Hazel to adopt the practice. Binion is hopeful that HACP and its contractors can respond to resident concerns. First authorized by Congress in a 2012 appropriations bill, the RAD program allows public housing authorities to transfer ownership of properties to private hands while maintaining subsidies for residents’ housing costs. After a RAD conversion, a private owner can complete renovations with financing not legally available to public housing agencies, which have seen dwindling public funds in the past two decades. “In theory, it’s a good workaround to solve this need of backlog capital needs that aren’t able to be funded with the restricted public housing dollars,” said Kevin Quisenberry, an attorney at the Pittsburgh office of the Community Justice Project, a statewide nonprofit that provides legal assistance in civil rights matters. Under the RAD program, rent at the Glen Hazel properties is subsidized through a Section 8-style “project-based rental assistance” program. Rather than paying a public housing authority an agreed-upon flat rent, residents will pay 30 percent of their income to rent. The owner, in this case a company set up by a nonprofit wing of the HACP, will receive subsidies from the U.S. Department of Housing and Urban Development [HUD] based on market rates. The program establishes a 20-year contract between HUD and the owner for federal rent assistance that stay with units in a building, rather than a specific tenant. The change means some residents may see rent increases, depending on their income. The RAD program allows the increase to be raised in steps over a period of three to five years. HACP officials have opted to phase in rent increases over five years. According to HUD, residents can request a housing choice voucher after living in a RAD-converted property for two years. Normally, residents must apply to HACP to get on a waiting list for housing choice vouchers. The vouchers allow residents to find housing in the private market with rent subsidized through HUD. Speaking broadly of RAD transfers, Quisenberry said tenants could be negatively impacted if a new manager lacks the same understanding as a housing authority of tenant protections guaranteed by federal housing policy, or if they are less familiar with regulations pertaining to tenancy terminations, grievances or rent increases. The two Glen Hazel properties are the first RAD conversion property HACP officials are overseeing, Rohrer said. Williamson, whose 4-year-old son has special needs that require daytime care from a nurse, said a relocation agent in January told her verbally about a possible Feb. 19 move. But that date came and went, leaving her in limbo. After the relocation team told her she’d be moving March 23, she finally received written notice of the new date two days before the move. But even then she said she wasn’t told how she’d get help packing her things, a requirement under federal rules. “I left [the agent] a voicemail, I told her I wouldn’t be able to move,” Williamson said. 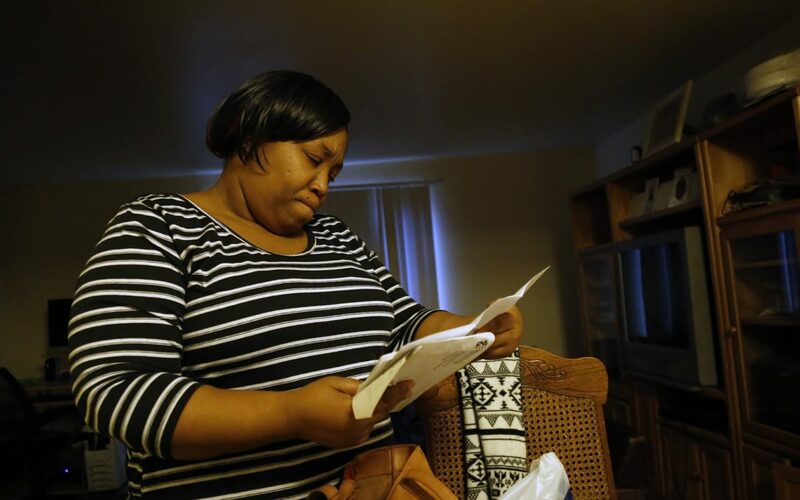 Some residents, like Patrice McNeely, have received a billing statement in the mail showing thousands of dollars in unpaid rent, even though they say they haven’t missed a rent payment. Williamson, Robinson and McNeely all report asking property managers for receipts of their rent payments and being denied them. Asher said he would look into the claims residents made to PublicSource. He said residents should not be refused rent receipts. HACP officials said Arco has a wealth of experience managing other RAD conversions elsewhere in the country. “HUD recognizes their experience and so do we. They’ve been doing this in multiple cities,” Rohrer said, adding that Arco’s experience matched up well with the needs of the project. Arco has overseen similar rehab projects in Atlanta, New York City and elsewhere in the eastern United States. Quisenberry said a 30-day written notice, along with moving and packing assistance, would satisfy HUD requirements regarding RAD conversion relocations. Residents who wish to contact the U.S. Housing and Urban Development can reach its Pittsburgh office at 215-861-7646 or 800-877-8339. The authority will post a post a representative on site one day each week to respond directly to questions from residents. HACP officials also agreed to the formation of a resident-led committee to deliver feedback directly to the authority on renovations and the new management. Crews at the high-rise will work on renovations during the day, and residents will be able to stay in comfort stations inside the building and then return to their homes at night during the weeklong unit renovation. The renovation is planned to begin in May. HACP will make relocation arrangements as necessary to seniors and residents with disabilities, Asher said. 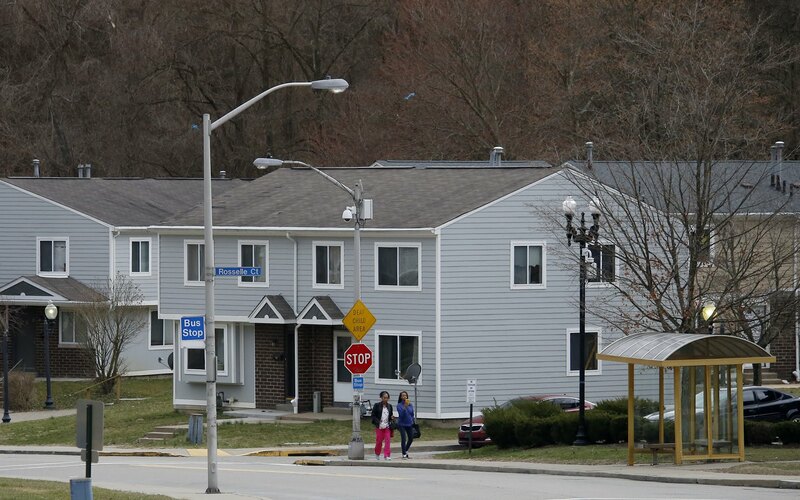 Construction at the Glen Hazel Heights townhouses is set to begin in May, Rohrer said. Most residents will only have to move once, but for those who need to stay in temporary units during the work they will be relocated for three to 10 months, Rohrer said. A March 21 letter from Arco informed Williamson she would be temporarily relocated for one year to another townhome unit. Residents are entitled under HUD rules to relocation assistance in the form of moving costs and help with packing. Property managers must make proper accommodations for any households with disabilities, something HACP officials say they’re prepared for. Michelle Sandidge, HACP’s chief community affairs officer, said the authority is responding to resident concerns. Williamson is not satisfied. She does not want to move with her son into a temporary unit, only to move again into one that has been renovated. If residents are not satisfied with the answers they get from relocation staff or onsite managers, Asher said, they should be told they can call an Arco supervisor directly. He added HACP officials are planning a meeting to take place within the next few weeks that will include Asher and the management team to further discussion with residents. “You’d be surprised post-construction, all the people giving me a hard time, say, ‘Thank you so much, we really appreciate what you’ve done,’” Asher said. This story was fact-checked by Hannah Schneider and Erin West.